Results of the Fall 2018 Classical Etymology Exam! (pasted from the OJCL website) Going to NJCL Convention? Want an extra $100 to help with the cost? Here is the information to the 2019 OJCL Scholarshipto Nationals! Due 11:59 P.M. on April 5, 2019. (pasted from the NJCL website): Do you have a student who is wondering how they will pay to attend convention? Or are you looking for a way to pay for the cost of convention and travel for yourself or for a chaperone? There are 3 convention awards that can help. The deadline to apply is March 31. More information can be found here, and hereis a flyer for the packet awards that you can hang in your classroom. Academic Event: Sat April 6, 9-11ish am, Ursuline Certamen. Sign up in the Latin rooms. Service Event: Sat April 6, 1:30-3:30: Majorie P. Lee Retirement Home Easter Egg Hunt. Space is limited to 8-10 students. CLICK HERE FOR THE ONLINE SIGN UP. WE NEED A PARENT VOLUNTEER TO HELP OUT – PLEASE EMAIL LARRY DEAN. Families of the residents come with children for an Easter egg hunt. Student volunteers will hide plastic eggs, give out prizes, keep refreshments properly stocked for afternoon in the courtyard, and cleanup at the end of the event. 1 older, bigger student needed to wear the Easter Bunny costume – to hand out candy, interact with kids. Academic: Mon April 8 is the deadline for the Latin Honor Society application. The requirements are: 90% above or above for the year; dedication and enthusiasm for the Latin language; and 4 Latin sponsored activities (service events count double). This is the link to upload pix of all your projects! 2019 OJCL Media Release and Conduct Form – required! Turn the form into your Latin teacher. Summit perm slip – required! Turn the form into your Latin teacher. IMPORTANT: Here is the link to the form if your child needs to take medication while at convention. The student must turn in this form with the medication in a plastic bag on Fri to Larry Dean or one of the adult chaperones (Dr. Venkatesan or Dr. Liao). Want to win $ at the convention talent show? Sign up for OJCL’s Got Talent! Audition is Fri night, actual performance is Sat night. Performances can be singing, dancing, playing an instrument, stand-up comedy, anything that is entertaining. Where is your Greek Mythology professor? He was supposed to meet you in his office an hour ago. You have offered to help him deliver a very important artifact of Greek Mythology to the museum, but now it looks like mayhem is about to ensue! Your professor is scheduled to give a presentation about the artifact in front of a large crowd in just under an hour. Suddenly, your phone rings. He tells you that he’s suddenly grown ill! He needs you and your friends to help him unlock the box which contains the important artifact and deliver the artifact to the museum. He’s about to tell you all the combinations when his phone dies! Luckily, the last thing he said to you was that he wrote the combinations down somewhere hidden in the notes on his desk. Can you figure out the combinations, open the box, and help him present the artifact in time? You can pre-order with Donatos before Fri. March 8 at 3 PM, using this number — 614.340.3333 and tell the operator you are with the OJCL Latin convention at the Crowne Plaza — the cost of a 1 topping pizza will be $9.00. The delivery fee is $3.00. After Friday at 3pm, and throughout the weekend, anyone interested in Donatos should call the Worthington High St. Store: 614.843.3333. They should share that they are at the OJCL convention with the OJCL. You are welcome to order from other places, feel free to search around the area. There is also a Panera nearby that will deliver large orders, but the fee is rather high. It is the Panera at Worthington Mall. 614.785.9600 – ask to connect with catering. The delivery fee for Panera is $15 – $25, but if enough people order — the fee would be defrayed. Information about the NJCL Summer Convention, July 23-28, at Miami University (Oxford OH). Online sign up for the Summit bus to convention – click here for all the information – PLEASE EMAIL LARRY DEAN IF YOU ARE NOT TAKING THE BUS! Larry Dean is again running a summer Latin program at Summit for 15 days, Mon June 11 – Fri June 29, 8:30-12:30. It is intended for motivated students, regardless of their level of Latin – from beginners entering the 7th grade to advanced scholars who have graduated. Students can sign up/show up anytime. 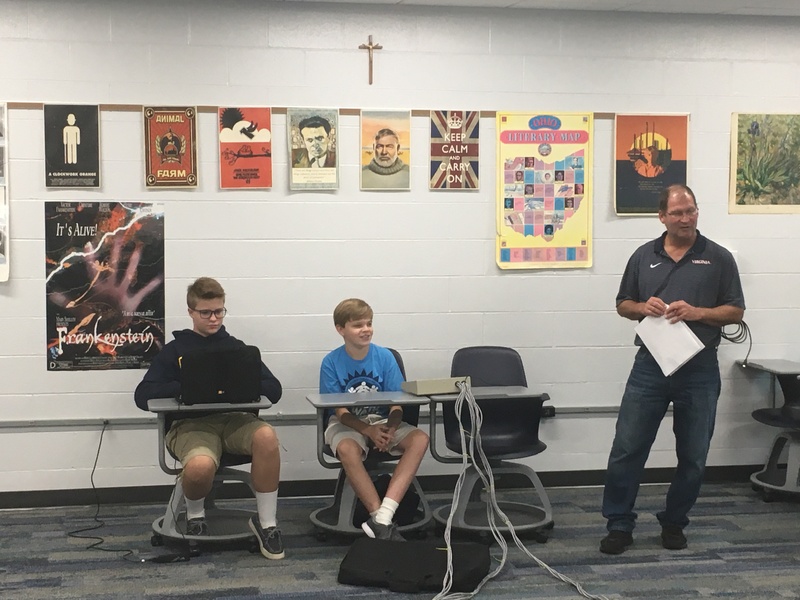 It is a great learning environment, with motivated students from throughout the Cincinnati area and sometimes even from other parts of OH – and they all have the same joy of learning and love of the classics. Here is the link to the program description from the Summit Summer catalogue, p. 8 (https://issuu.com/summitcds/docs/summitsummer2018?e=1978877/57972613) and here in the link to the registration page (https://www.ultracamp.com/clientlogin.aspx?idCamp=174). Please call me at (513) 502-0108 if you have questions. 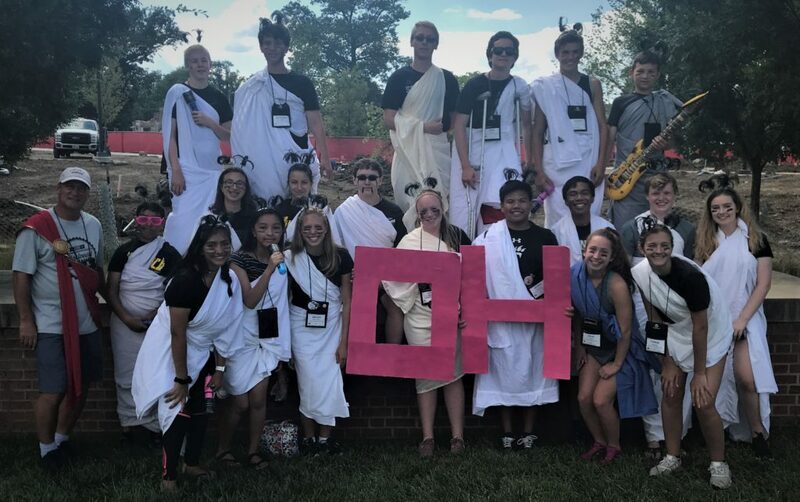 Summit Latin Wins Academic Per Capita and Overall Points at the 2018 Ohio Junior Classical League Convention – the third and final edition, without the typos and with the recognition for ‘chaperone of the decade’ Dr. Vicky Cusi Delamerced! Upload your convention pix to this google drive!! Gratias! Summit Scrapbook by Erin Devine! Summit entry in the Commercial Contest (about Hadrian’s Wall), edited by Joseph Delamerced. Summit entry in the Music Video Contest (about the famous stand of Horatius at the bridge), edited by Davis DeFoor. Connie Nelson made this 1 minute slideshow of pictures from convention! 1. Mon May 21: applications for next year’s Summit Latin Club Officers are due! Here is the Latin Club Constitution which has the descriptions of the various offices. For 6th – 12th graders. We will have refreshments & picture slide show at 6 PM, and the awards will begin at 6:30. We will finish around 7:30. The Latin students have once again earned a multitude of awards, and we hope that you & your family can celebrate their academic achievements with us. the link to indicate you will be attending the ceremony – ONLY THE NAMES OF STUDENTS WHO HAVE COMPLETED THE ONLINE SIGN UP WILL BE ANNOUNCED!!!!! NEW – BREAK OUT ROOM SIGN UP If your students would like to sign up for the break out room sessions (think Locked in a Room with a Zombie but awesome Classically themed and no zombies) please direct them to these google forms. There are two sessions, both late on Sat night. A student may only do one. There is a limit to 32 students per session, the form will let them know if 32 have already signed up and they need to request the other session. NEW – Pre-register your projects here. Deadline is this Monday March 5 at 11:59 pm. CLICK HERE FOR ID NUMBERS TO SUBMIT BOTH PRE-CONVENTION AND GRAPHIC ARTS PROJECTS. All art projects must be registered through the link above in order to be judged. Please make sure your project is in the correct category. Email y if you are uncertain. If you did a Drawn or 3D poster for class (Odyssey, Hero, or King), it is considered a Drawn or Constructed Chart. OFFICIAL program for the 68th Convention of the Ohio Junior Classical League, made by Secretary Jason Suh! Click here the list of students doing the Creative Arts (costume, Latin/sight recitation, dramatic interpretation, monologue, English oratory) and Certamen. List of Summit students going to convention! 2018 OJCL Media Release and Conduct Form – required! Turn the form into your Latin teacher. 2018 Summit Permission slip – required! Turn the form into your Latin teacher. IMPORTANT: Here is the link to the form if your child needs to take medication while at convention. The student must turn in this form with the medication in a plastic bag on Fri to Lisa Mays or one of the adult chaperones (Mrs. Delamerced or Mrs. Liao). CONVENTION EVENT: Want to win fabulous prizes and earn the praise & admiration of your peers? Participate in the annual talent show: OJCL’s Got Talent! – auditions are on Friday night, and the actual performance is on Saturday night. Yes, there are prizes! Click here for a fun 1 minute video (by Joseph Delamerced) inviting students to attend convention. Click here for a not-as-fun 6 minute video (by Larry Dean) explaining the requirements for convention (this is the 2016 version, but requirements are the same). 2017 Ohio Junior Classical League Convention Article about the Summit Country Day’s achievements at Convention! 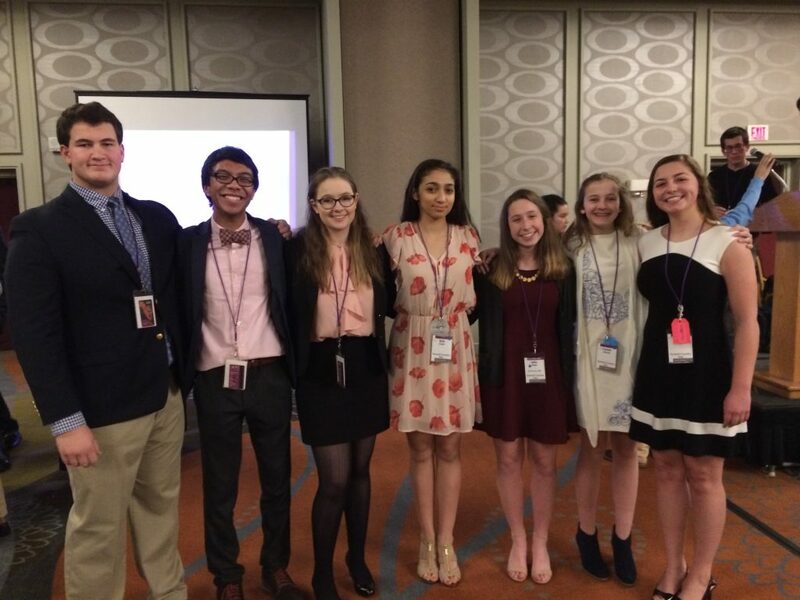 For the 19th consecutive year, Summit Latin has students in positions of leadership on the OJCL Executive Board, the group that organizes the convention and all JCL activities. There are 3 students presently on the Board: junior Julia Dean is the Parliamentarian (Election Coordinator), senior Joseph Delamerced is the President (“Mr. President”), and senior Caroline Klette is the 1st Vice-President (Membership Coordinator). Click here for the Commercial Contest edited by Tullus Dean. The theme of the commercial is a product relating to aqueducts. Click here for the Music Video Contest edited by Joseph Delamerced. The theme of the video is Latin pronouns. 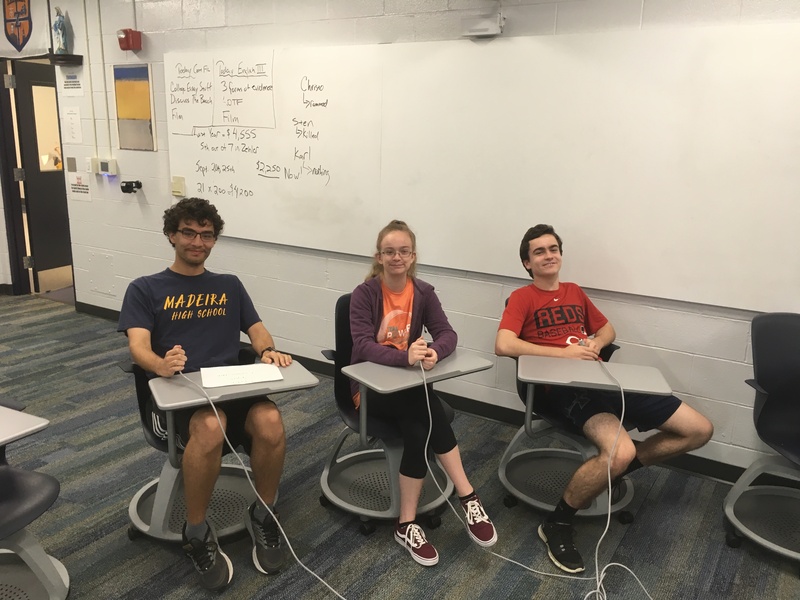 Article about the Moeller Open Certamen and the Fall Forum! Click here for the 2017-2018 Cincinnati Certamen Schedule!! It will then leave Columbus Academy around 5 pm and arrive back at Summit around 7 pm. A check for $10, made out to OJCL, can be handed to me as the student boards the bus. 2017 Summit Country Day Latin Club Constitution This has a description of the various offices of the Summit Latin Club. Application for Officer Position on the Summit Latin Club Board The application is due Mon May 15! 2016-2017 Latin Club Events – dates, descriptions, list of students – to submit service hours to the MS/US, download document, use the Find function to boldface your name, print off and give to the proper MS/US teacher. 2015-2016 Latin Club Events – dates, descriptions, list of students – to submit service hours to the MS/US, download document, use the Find function to boldface your name, print off and give to the proper MS/US teacher. Ecce: The winning Summit Delegation at the 2017 Convention! Euge! The Latin Awards Ceremony is Tues May 30, 6:30-7:30, in Kyte Theater. Info about the Cincinnati bus to/from Troy University: Larry Dean (513-502-0108, dean_l@summitcds.org) is organizing a Cincinnati bus to/from Troy University (AL) for the 2017 NJCL Convention. 2 THINGS ARE REQUIRED: SIGN UP GENIUS (http://www.signupgenius.com/go/10c0b4eaeae292-cincinnati) AND THE CHECK FOR $154.50. The bus will leave Summit on Sun July 23 at 6 am. The bus will leave Troy University on Sat July 29 at 9 am. You will need to sign up for the Pre-Convention Housing ($50) for Sun July 29 at Troy University. This includes a Sun evening dinner. 450 students (and 125 teachers, adults, and college students) from 23 Ohio schools attended the state competition February 24-26 in Columbus. Summit sent a delegation of 39 students to compete. Summit placed 1st in Overall Points, 1st in Overall Per Capita Points, and 2nd in Academic Per Capita Points. It was a team effort, with significant contributions from both the Middle and Upper School students! 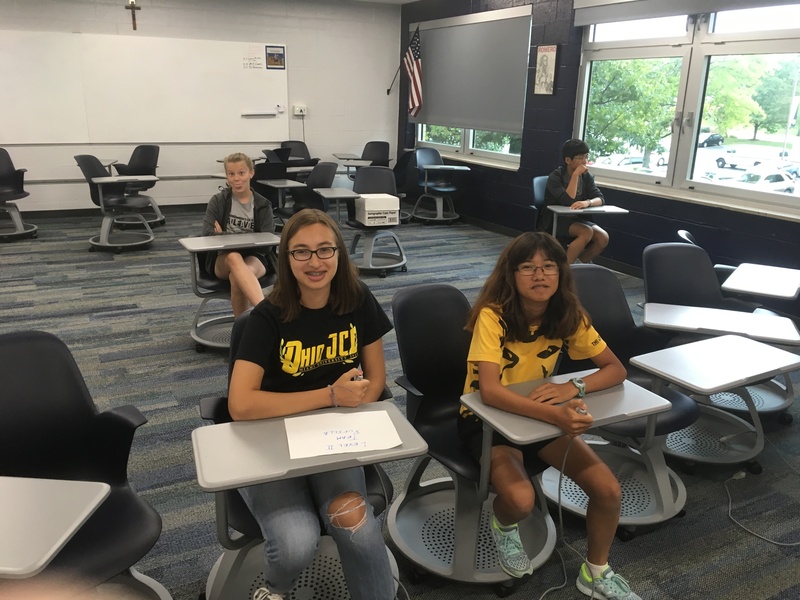 The weekend offered a number of different competitions and activities: tests, performances, art projects, general assemblies, toga banquet, a Jeopardy!-style game called Certamen, a talent show, elections, service projects, and more. There is something for everyone, and this is why students continue to return year after year. 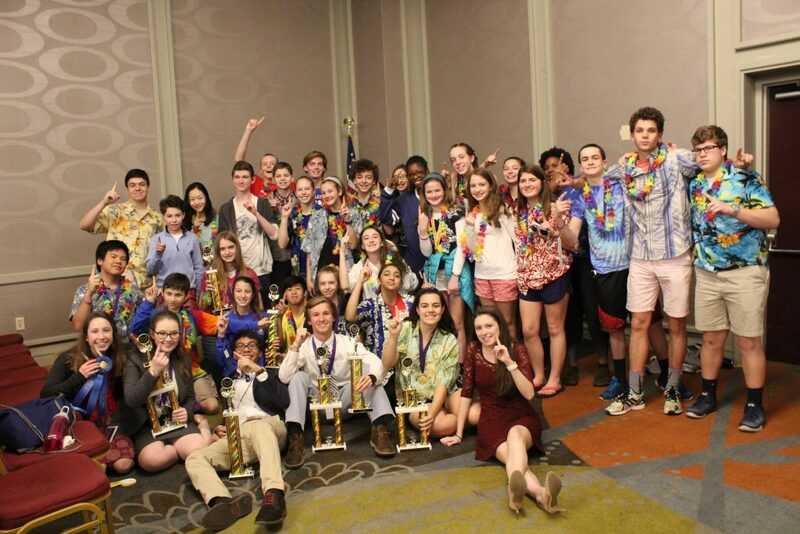 As a club, the Summit Latin Club earned several top awards. All Certamen teams made the finals! The Intermediate and Advanced team finished in 3rd, and the Novice team won their finals round and became STATE CHAMPIONS! There were several club projects submitted to Convention. 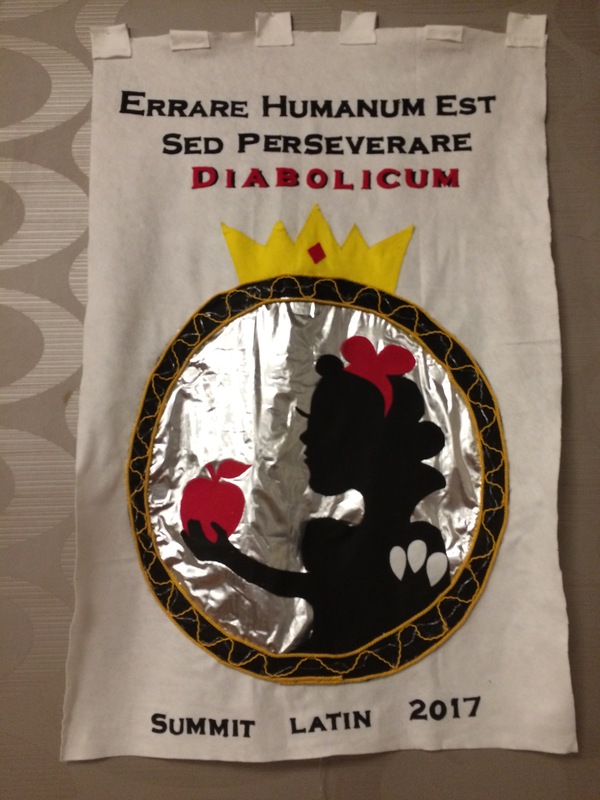 The Club Banner, made by Eliot Schiaparelli, earned a Superior rating! View the winning Club Video Contest (Why Is Latin Awesome?) by Connie Nelson. View the Superior-rated Music Video (All I Want for Christmas Is Tu) by Joseph Delamerced. View the Excellent-rated Publication (Vox Latina) by Brigid Devine and Eliot Schiaparelli. View the Excellent-rated Commercial (Aqua-Sparkle) by Tullus Dean. Deadline is this Monday Feb 20 at 11:59 pm. ID numbers for each student are here. Please make sure your project is in the correct category. Email me if you are uncertain. If you did a Drawn or 3D poster for class (Iliad, Hero, or King), it is considered a Drawn or Constructed Chart. 2017 List of Summit students for OH Convention – 39 total, 10 MS and 29 US – 4 are State Officers: 2nd VP Joseph Delamerced, Parliamentarian Tullus Dean, Historian Caroline Klette, and South Gubernator Julia Dean. 2017 OJCL Media Release and Conduct Form – required! Turn the form into your Latin teacher. 2017 Summit permission slip – required! Turn the form into your Latin teacher. PLEASE READ! 2017 Summit Convention Checklist – updated on Fri Feb 17! IMPORTANT: Here is the link to the form if your child needs to take medication while at convention. The student must turn in this form with the medication in a plastic bag on Fri to Lisa Mays or one of the adult chaperones (Mrs. Delamerced or Mrs. Schiaparelli): http://www.summitcds.org/parents/documents/3Medication_Form-prescribed_meds_at_school.pdf. 2017 summit ojcl membership and id numbers.html – These IDs are necessary for registering for the Pre-Convention projects and Graphic Arts projects. Here is the Vox Latina (Summit Latin Magazine), edited by Brigid Devine and Eliot Schiaparelli. 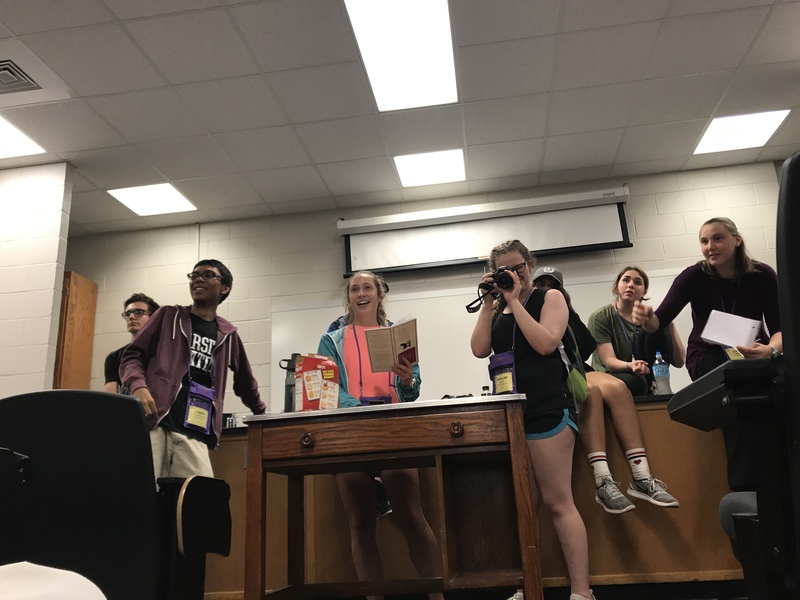 For the 18th consecutive year, Summit Latin has students in positions of leadership on the OJCL Executive Board, the group that organizes the convention and all JCL activities. 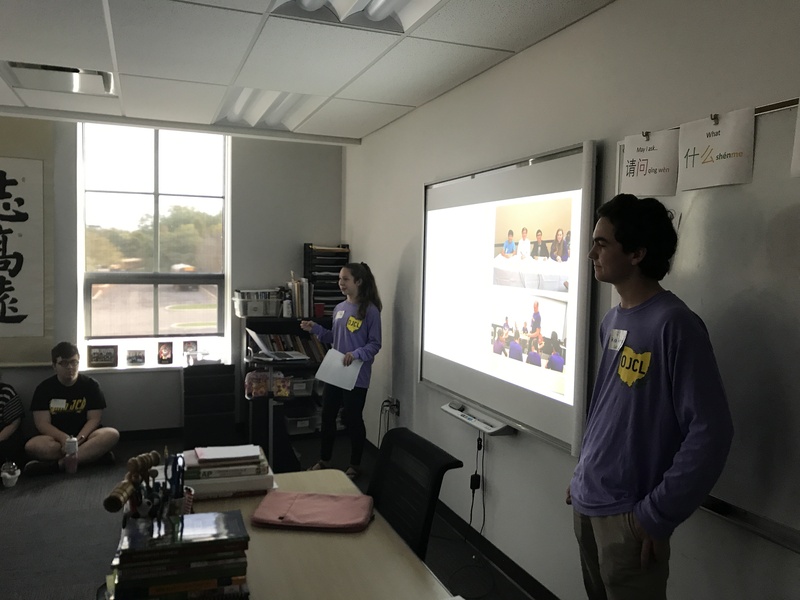 There are 4 students presently on the Board: sophomore Julia Dean is a Gubernator (Regional Service Activity Coordinator), senior Tullus Dean is the Parliamentarian (Election Coordinator), junior Joseph Delamerced is the 2nd Vice-President (Project and Service Activity Coordinator), and junior Caroline Klette is the Historian (Digital Scrapbook Editor). 2 students will be running for office in this year’s election: Joseph for the President and Caroline for the 1st Vice-President (Membership Coordinator). Optimam Fortunam! 2015-2016 Latin Club Events – dates, descriptions, list of students– to submit service hours to the MS/US, download document, use the Find function to boldface your name, print off and give to the proper MS/US teacher. Pix from 2016 convention – please upload your pix too! 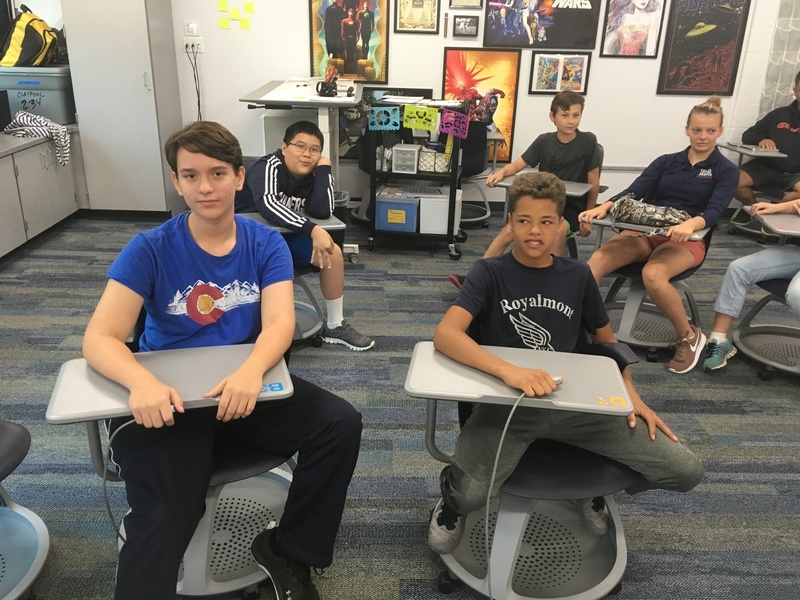 (academic, service, artistic) Sat Oct 6, 9 am – 5 pm: ‘Fall Forum’ at Columbus Academy – it is a fun ‘mini-convention’ with an interactive lecture, academic test, impromptu art, certamen, Ultimate frisbee & Capture the Flag, and more! Bring $5 for pizza lunch and another $5 for the bus. You must do the online sign up to guarantee a spot on the bus. Here is a link to the required permission slip. It will then leave Columbus Academy around 5 pm and arrive back at Summit around 7 pm. I will have students text parents when we are about 40 minutes from school. Click here for the full information about the 2016-2017 Summit Latin program. The list of Summit students going to the summer NJCL Convention as of May 13 2016. Be sure to sign up for the bus and the spirit package with the 2 state t-shirts here. Latin in the Summer? At Summit? Eugepae!!! I am again running a summer Latin program here at Summit for 15 days, Mon June 13 – Fri July 1, 8:30-12:30. It is intended for motivated students, regardless of their level of Latin – from beginners in the 6th grade to advanced scholars who have graduated. Students can sign up/show up anytime. 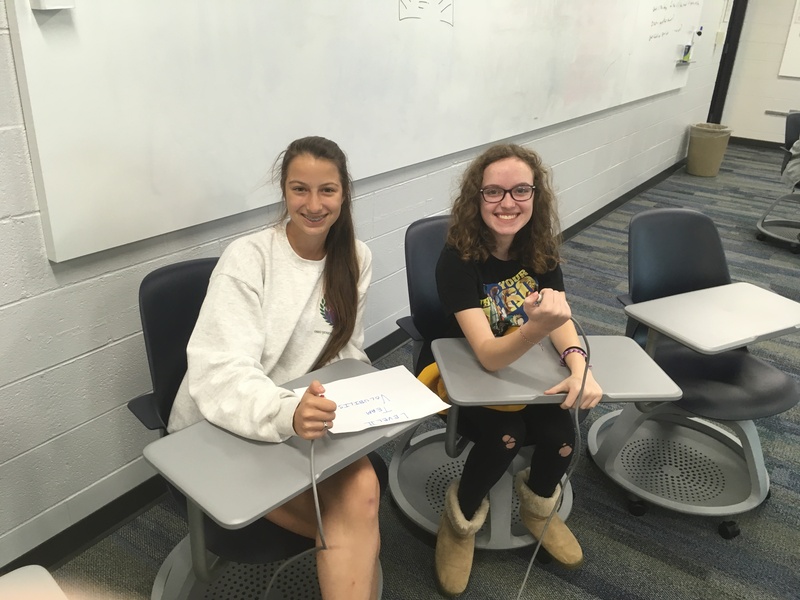 It is a great learning environment, with motivated students from throughout the Cincinnati area and even from other parts of OH – and they all have the same joy of learning and love of the classics. Here is the link to the program from the Summit webpage: http://www.summitcds.org/programs/academic-summer-school.cfm. Please call me at 502-0108 if you have questions. The Latin Awards Ceremony is Tues May 31, 6:30-7:30, in Kyte Theater. 2016 Latin Awards – You can use the ‘find’ function on the word doc to find your child more easily. The winners for a few competitions are NOT included. A complete awards booklet will be available at the awards ceremony and will be emailed out when it is complete. NATIONAL CONVENTION: The State Latin Convention in Columbus was a great experience! They performed well in all aspects of the competition and had a terrific time. Many of them have expressed interest in the week-long National Latin Convention in the summer. This event is for 7th graders to graduating seniors. Below is some information about this event. Please contact Larry Dean (502-0108) if you have questions. The National Junior Classical League Convention is held every summer on a college campus. Here is the link to the website on the convention: http://njcl.org/pages/convention-registration. This summer, it is Mon July 25 – Sat July 30 at Indiana University in Bloominton IN. Students and teachers stay in the student dormitories (girls and boys in separate housing) and eat in the student dining halls. All events are on the campus, within walking distance. Much of the campus is completely devoted to the National Convention. I will again organize bus for Summit students and other Cincinnati area Latin students (around $30). We will leave on the morning of Sun July 24. Students are not required to travel with the Summit group, but it is a bonding experience and a good time. You will need to pay for ‘Pre-Convention Housing’ ($55) if you travel with the Summit group since we are arriving a day early. 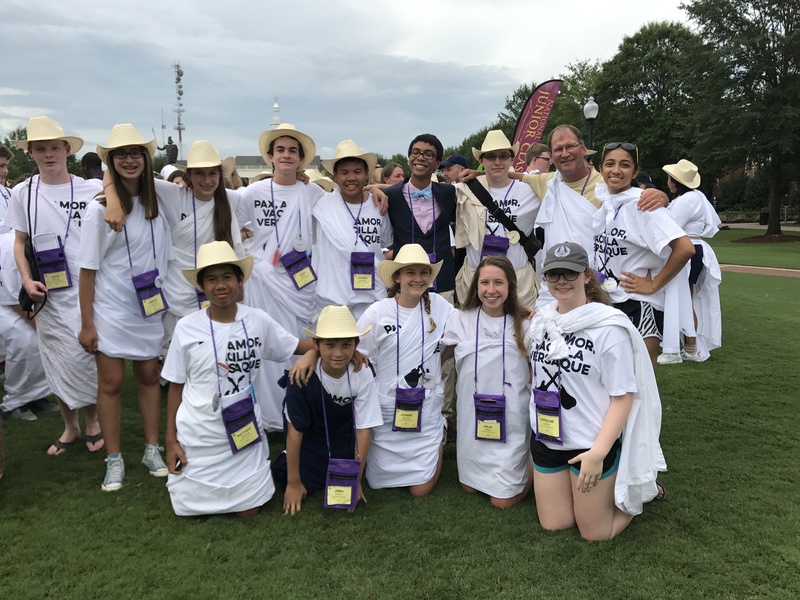 About 1,600 Latin students from across the country – from rookie 7th graders to veteran seniors who have graduated – participate in the National Convention. OH always has a large delegation of students, teachers, and parents, usually a little over 100. Summit usually brings about 15-20 students. I have attended the National Convention for the past 16 years. 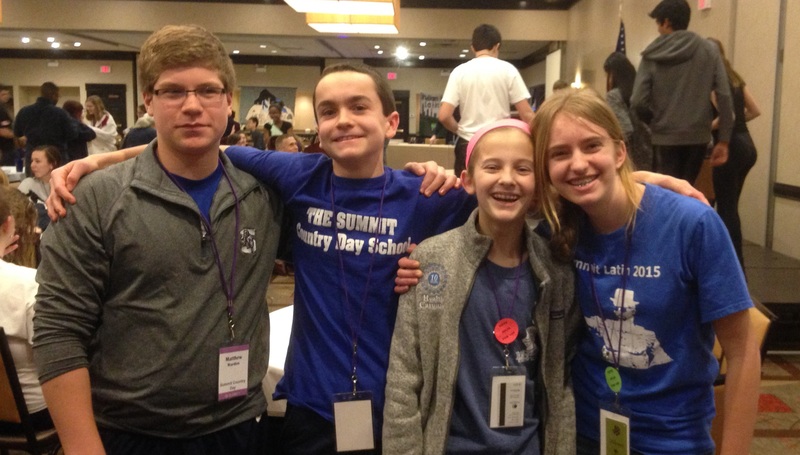 All OH teachers (from schools like Indian Hill and Lakota East and McAuley and Moeller) chaperone and help the students – the ratio of students to chaperones at the convention is about 8 to 1. The cost is $495 for registration, housing, and food. Here is the link to the online registration (it is at the very bottom of the page): http://njcl.org/pages/convention-registration. You do this on your own; unlike State Convention, I do not sign up the students. You will then be emailed a registration packet, which your child will need to bring to school to be signed by me. The price for convention increases on April 30. Apply for 1 of 10 $100 scholarships to the 2016 NJCL Convention. Click here for the application. Deadline is Fri March 11. 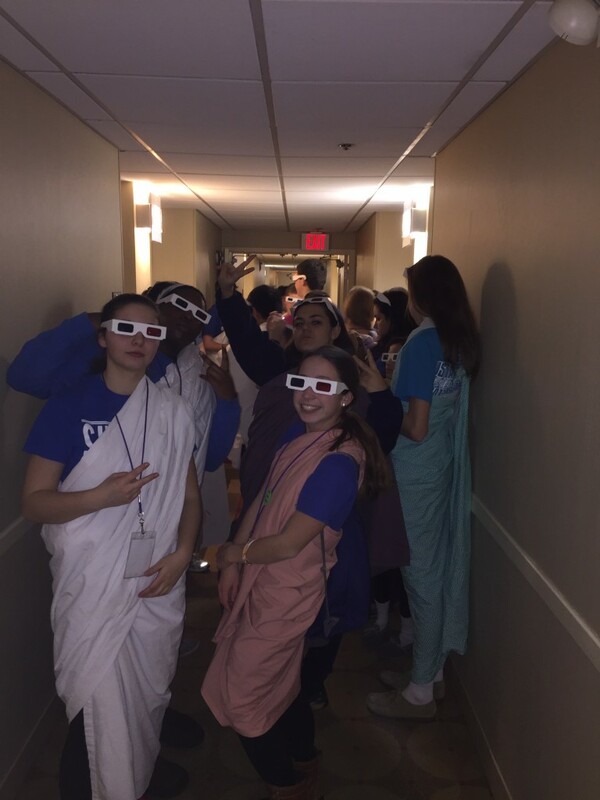 Activities at Convention: academic tests, certamen, graphic arts, dramatic performances, team sports (volleyball, soccer, etc), swimming, track & field, chess tournament, dances, toga parade, Talent Show, Latin-related workshops and presentations, and much more! Students are supervised, but there is a lot of freedom at the National Convention. Students need to be responsible for their conduct and act in an appropriate manner. It is a school function, and all the Summit rules of conduct apply to the week-long event. We have never had a problem with student behavior in the past. All students have enjoyed themselves at Convention. 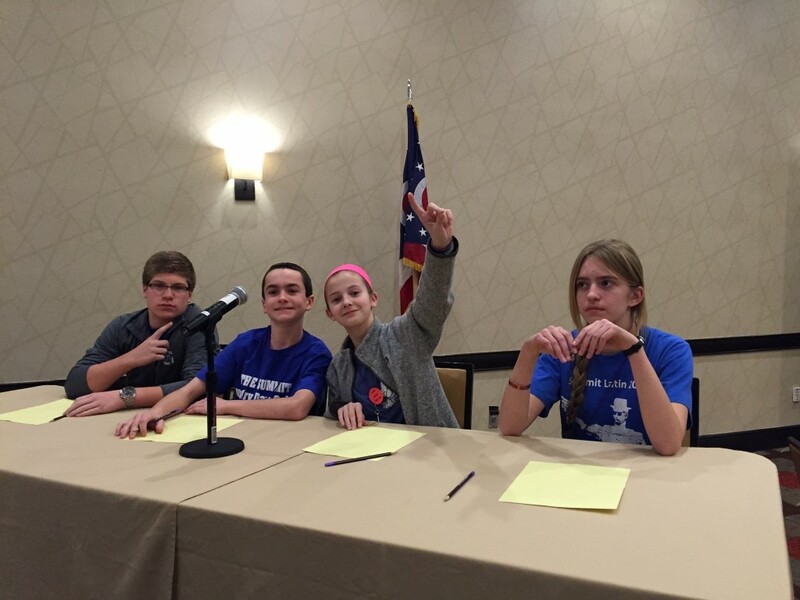 Summit Novice Certamen – STATE CHAMPIONS!! PERMISSION SLIP REQUIRED BY SUMMIT. Abridged version of the Convention Schedule. Official program, with complete schedule, edited by Summit Senior Dustin Argo, the OJCL Secretary. **All graphic art projects must registered online. The deadline is 11:59 pm this Mon Feb 15. Just follow the directions. All ID #’s are at the bottom of this webpage. We recommend writing the ‘project description’ for each project on a word document first (which can be spellchecked); then, just paste it into the box. Click here to register projects: http://ojcl.org/students/graphic.php. MAKE SURE THAT YOU REGISTER YOUR PROJECT IN THE PROPER CATEGORY OR IT WILL NOT BE JUDGED – contact Kim or me with questions. IMPORTANT: Here is the link to the form if your child needs to take medication while at convention. The student must turn in this form with the medication in a plastic bag on Fri to Kim or one of the adult chaperones: http://www.summitcds.org/parents/documents/3Medication_Form-prescribed_meds_at_school.pdf. Click here for the Commercial Contest edited by Joseph Delamerced. The theme of the commercial is Hephaestus, the divine craftsman of the Greek gods. Click here for the Music Video Contest edited by Joseph Delamerced. The theme of the video is the 7 Kings of Rome. Click here for a not-as-fun 6 minute video (by Larry Dean) explaining the requirements for convention. Here is the convention issue of the Vox Latina the Summit Latin Club newsletter, edited by Eliot Schiaparelli. Who is going to the 2016 Convention? Here is the list, with the ID # for each student. interested in a Creative Art? The choices are Costume, Dramatic Interpretation, Latin Recitation, English Oratory, Monologue. There are limited numbers for each category, so give your name to your Latin teacher if you are doing one of these contests. talented at Graphic Arts? There are over 40 different projects you can complete. Come see your Latin teacher if you do not know which ones to do. Where: DoubleTree by Hilton in Columbus/Worthington (http://doubletree3.hilton.com/en/hotels/ohio/doubletree-by-hilton-hotel-columbus-worthington-CMHWNDT/index.html).